Kiss by the mid 1980s had become Rock establishment - they are no rock royalty. The quartet of Gene Simmons, Paul Stanley, Peter Criss and Ace Frehley came together in January 1973 and according to legend played their first gig in front of just three people - a decade and a half later and they were filling stadiums. Their 1973 self-titled debut album for Casablanca Records got to No.87 on the US chart, while a year later the follow-up, Hotter Than Hell, made No.100. Come 1987 the band, minus Criss and Frehley released their fourteenth studio album, 'Crazy Nights'. 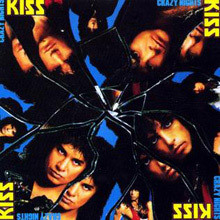 Unlike many of their contemporaries Kiss did not enjoy a lot of mainstream success on the Hot 100, but 'Crazy Crazy Nights', co written by Stanley and Scottish born songwriter Adam Mitchell picked up a lot of airplay, becoming a hit in many other countries, notably, Norway, The Netherlands, Australia and the UK where it peaked at No.4 - the best performing Kiss single on the British charts. It was the same position as the album reached in the UK helping to cement the band's reputation as a live act outside America. It was a decade earlier that 'Love Gun' was their big break through when it made No.4 on the US album charts. It was during the making of the follow-up, 'Dynasty' that Peter Criss began recording less with the band; by the time of 'Unmasked' in 1980 Anton Fig was occupying the drum stool, full-time. Eric Carr took over from him for 'Music from 'The Elder' in 1981 and was still there in 1987. By 1982's 'Creatures of the Night' Frehley had also left and a string of guitarists played on the albums between then and 'Asylum' in 1985 when Bruce Kulick joined as a fulltime member of the band. During the 1990s Kiss was one of the top grossing bands, yet only in 2014 were they finally inducted into The Rock and Roll Hall of Fame. Culled from those numerous concerts, Alive! (released in the fall of 1975) made the band rock & roll superstars; it climbed into the Top Ten and its accompanying single, "Rock 'N' Roll All Nite," made it to number 12. 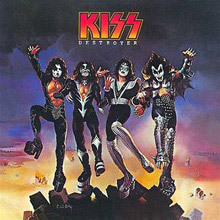 Their follow-up, Destroyer, was released in March of 1976 and became the group's first platinum album; it also featured their first Top Ten single, Peter Criss' power ballad "Beth." Kiss mania was in full swing; thousands of pieces of merchandise hit the marketplace (including pinball machines, makeup and masks, and board games), and the group had two comic books released by Marvel as well as a live-action TV movie, Kiss Meet the Phantom of the Park. A 1977 Gallup poll named Kiss the most popular band in America. The group was never seen in public without wearing their makeup, and their popularity was growing by leaps and bounds; the membership of the Kiss Army, the band's fan club, was now in the six figures. Even such enormous popularity had its limits, and the band reached them in 1978, when all four members released solo albums on the same day in October. Simmons' record was the most successful, reaching number 22 on the charts, yet all of them made it into the Top 50. Dynasty, released in 1979, continued their streak of platinum albums, yet it was their last record with the original lineup -- Criss left in 1980. Kiss Unmasked, released in the summer of 1980, was recorded with session drummer Anton Fig; Criss' true replacement, Eric Carr, joined the band in time for their 1980 world tour. Kiss Unmasked was their first record since Destroyer to fail to go platinum, and 1981's Music from the Elder, their first album recorded with Carr, didn't even go gold -- it couldn't even climb past number 75 on the charts. Ace Frehley left the band after its release; he was replaced by Vinnie Vincent in 1982. Vincent's first album with the group, 1982's Creatures of the Night, fared better than Music from the Elder, yet it couldn't make it past number 45 on the charts. Sensing it was time for a change, Kiss dispensed with their makeup for 1983's Lick It Up. The publicity worked, as the album became their first platinum record in four years. Animalize, released the following year, was just as successful, and the group essentially recaptured their niche. Vincent left after Animalize and was replaced by Mark St. John, although St. John was soon taken ill with Reiter's Syndrome and left the band. Bruce Kulick became Kiss' new lead guitarist in 1984. For the rest of the decade, Kiss turned out a series of best-selling albums, culminating in the early 1990 hit ballad "Forever," which was their biggest single since "Beth." Kiss was scheduled to record a new album with their old producer, Bob Ezrin, in 1990 when Eric Carr became severely ill with cancer; he died in November of 1991 at the age of 41. Kiss replaced him with Eric Singer and recorded Revenge(1992), their first album since 1989; it was a Top Ten hit and went gold. 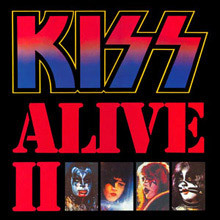 Kiss followed it with the release of Alive III the following year; it performed respectably, but was not up to the standards of their two previous live records. In 1996, the original lineup of Kiss -- featuring Simmons, Stanley, Frehley, and Criss -- reunited to perform an international tour, complete with their notorious makeup and special effects. The tour was one of the most successful of 1996, and in 1998 the reunited group issued Psycho Circus. While the ensuing tour in support of Psycho Circus was a success, sales of Kiss' reunion album weren't as stellar as anticipated. Reminiscent of the band's late-'70s unfocused period, few tracks on Psycho Circus featured all four members playing together (most tracks were supplemented with session musicians), as the band seemed more interested in flooding the marketplace with merchandise yet again instead of making the music their top priority. With rumors running rampant that the Psycho Circus Tour would be their last, the quartet announced in the spring of 2000 that they would be launching a U.S. farewell tour in the summer, which became one of the year's top concert draws. But on the eve of a Japanese and Australian tour in early 2001, Peter Criss suddenly left the band once again, supposedly discontent with his salary. Taking his place was previous Kiss drummer Eric Singer, who in a controversial move among some longtime fans, donned Criss' cat-man makeup (since Simmons and Stanley own both Frehley and Criss' makeup designs, there was no threat of a lawsuit) as the farewell tour continued. The appearance was an embarrassment for the group and for their fans, but Simmons was quick to dismiss the performance as another in a long series of money-oriented decisions. The band kept touring the globe with no new album in stores, but in 2008 they returned to the studio, re-recorded their hits, and released Jigoku-Retsuden aka KISSology or Kiss Klassics. The release was exclusive to Japan until a year later when it became a bonus disc for the band's first studio album in 11 years, Sonic Boom. 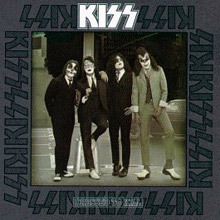 Produced by Paul Stanley and Greg Collins, the album was exclusively distributed in North America by the Wal-Mart chain of stores. In 2012, the band's twentieth studio album, Monster, surfaced, rewriting the cowbell-heavy party rock of their '70s heyday and adding some nods to the sinister metal of 1992's Revenge. 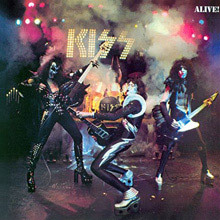 The sixth studio album was released in 1977 and is notable for being their first album to feature a lead vocal from Ace Frehley. It was also the last studio album to feature the entire original Kiss line-up on every track. The album cover was painted by fantasy artist Ken Kelly, who previously did the cover for 1976's ‘Destroyer’. 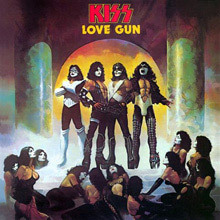 A self assembly cardboard "Love Gun" was included inside the album. The band’s debut album was released on 18 February 1974. 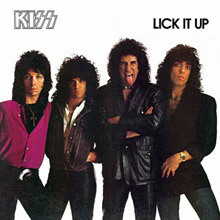 Much of the material on the album was written by Gene Simmons and Paul Stanley, as members of their pre-Kiss band Wicked Lester. Simmons estimated that the entire process of recording and mixing took three weeks, while co-producer Richie Wise has stated it took just thirteen days. But let nothing detract from this album, it’s a great place to start your journey into the music of this iconic band. It just scrapped into the Billboard charts, as did the only single from it, ‘Kissin’ Time’. 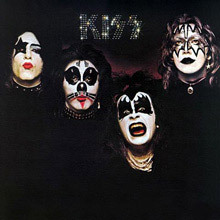 The fourth studio album by Kiss, originally came out in March 1976 in the US, it was also the first to chart in Germany and New Zealand, as well as the UK where it made No.22. It was also the first Kiss album to achieve platinum. Destroyer: Resurrected, was released on August, 2012 and includes original album remixed plus an alternate mix of "Sweet Pain" adding back the original guitar solo played by Ace Frehley, as well as an additional vocal snippet in "Beth" and remixed versions of other aspects of the album. It features artwork that was not used on the original release, rejected by Casablanca Records for depicting violence, and featuring the old Alive! outfits. The album was remixed from the original multi-track tapes, rather than remastered. The album returned to the Billboard charts, making No.11 in the week after its re-release. The 11th studio album that is often remembered because on the day of the record's release, the band appeared on MTV without their trademark makeup – their first public appearance without makeup since the band's very early days. The title track "Lick It Up" remains a concert favourite, having been played over nine-hundred times as of September 2012. This is the first Kiss album officially featuring new lead guitarist Vinnie Vincent, despite the fact that he unofficially appeared for the first time on the last album ‘Creatures of the Night’. It made No.31 on the UK album charts. Alive! was the album that catapulted Kiss from cult attraction to mega-superstars. It was their first Top Ten album, remaining on the charts for 110 weeks and eventually going quadruple platinum. Culled from shows in Detroit, New Jersey, Iowa, and Cleveland on the Dressed to Kill tour, the record features producer Eddie Kramer doing a masterful job of capturing the band's live performance on record. The fourteenth studio album by Kiss was recorded in June 1987 and released on September of the same year.. It featured keyboards, which was another departure in their music style, changing from their Lick It Up/Animalize/Asylum heavy metal sound into a light metal sound. It was re-released in 1998 as part of the Kiss Remasters series. Many songs from Crazy Nights were performed live during its supporting tour, but during and especially immediately following the tour most of those songs were dropped and were never performed again. Only the song "Crazy Crazy Nights" was retained in their setlist for the Hot in the Shade Tour which followed a couple years later, it was dropped after that tour and would not return for nearly 20 years until the Sonic Boom Over Europe Tour. Kiss’s second studio album came out in October 1974, nine short months after their debut. It peaked on the US charts at No.100, without the benefit of a hit single. Many of the album's songs became live staples for the band, including ‘Got to Choose’, ‘Parasite’, ‘Hotter Than Hell’, ‘Let Me Go, Rock & Roll’, and ‘Watchin' You’. Produced by Kenny Kerner and Richie Wise, who had produced the group's first album, it was recorded in Los Angeles. On August 25–26, 1977, Kiss recorded two shows at the LA Forum is this is the material featured on this their second live album. The afternoon sound checks at the August 26 and 27 shows were recorded, and later used on the album with crowd noise being dubbed in later. "Beth" and "I Want You" were recorded during the evening show at Budokan Hall in Tokyo, Japan on April 2, 1977.. As the band did not want to duplicate songs included on Alive!, the songs chosen for the three live sides of the album were all drawn from: Destroyer, Rock and Roll Over and Love Gun. Kiss has been the subject of numerous best-of compilations over the years, some released stateside (1978's Double Platinum, 1988's Smashes, Thrashes & Hits), while others only in specified regions (1982's Killers in Europe, 1988's Chikara in Japan, etc.). 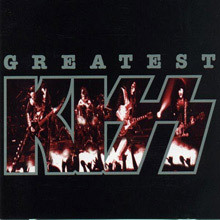 The 1996 collection Greatest Kiss was originally intended to only be issued outside the U.S., but since it was selling well as an import stateside, it was eventually issued domestically one year later.